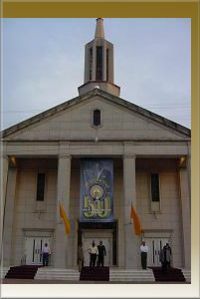 First Baptist Church of Hamilton Park, located in upscale Richardson, Texas is one of Overdrive Productions, Inc. featured clients. 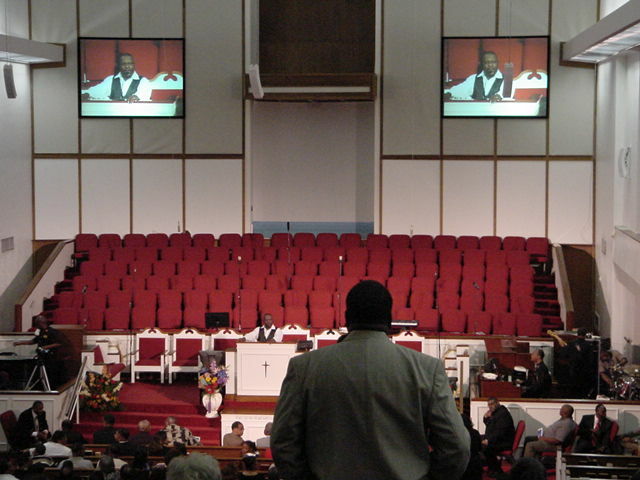 For the audio portion of the installation, Overdrive Productions installed professional Bose 502A and Bose 502B's loudspeakers in white, they complimented this beautiful sanctuary. 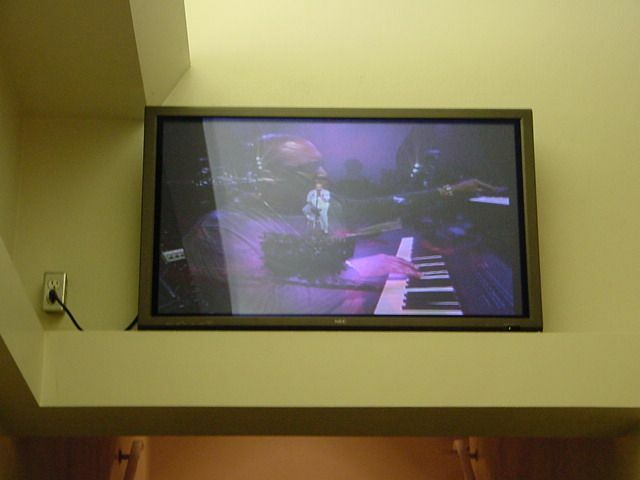 Overdrive Productions also did the Video Installation. 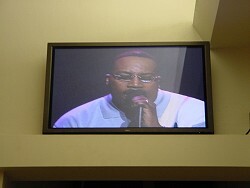 Overdrive Productions Inc. used Professional Video products like FSR, R.L. 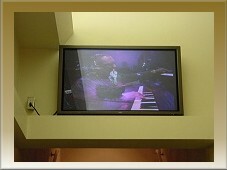 Drake, Sanyo, and two 42" NEC Plasma monitors that are located in the lobby just as you walk in the main entry doors. 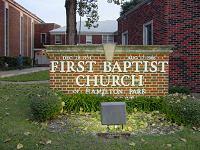 First Baptist Church of Hamilton Park has a fully integrated Audio/ Visual system that sounds and looks great! Recently. 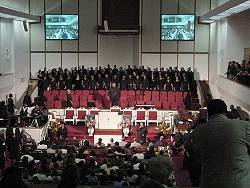 First Baptist Church of Hamilton Park celebrated their 50th Anniversary Gospel Extravaganza. 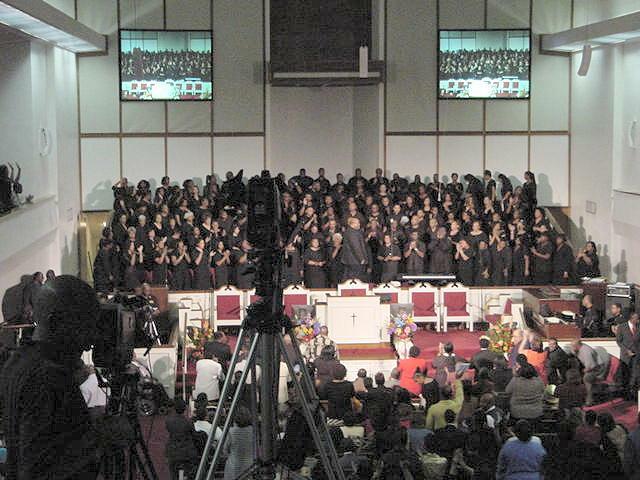 The concert celebration featured the First Church Reunion Choir and Special Guest, Gospel Recording Artist Bishop Walter Hawkins. Steve Vinson, Professional Audio Engineer with Overdrive Productions, Inc. engineered the Gospel Concert Celebration along with the Professional Audio and Video Crew at First Baptist Church of Hamilton Park. 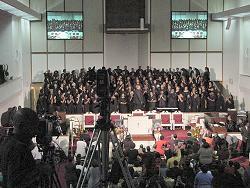 The Gospel Extravaganza was a huge success. With too may other talented performers to name, a high-quality sound system, and crystal clear video screens made the entire evening feel and sound like you were in a professional concert hall! 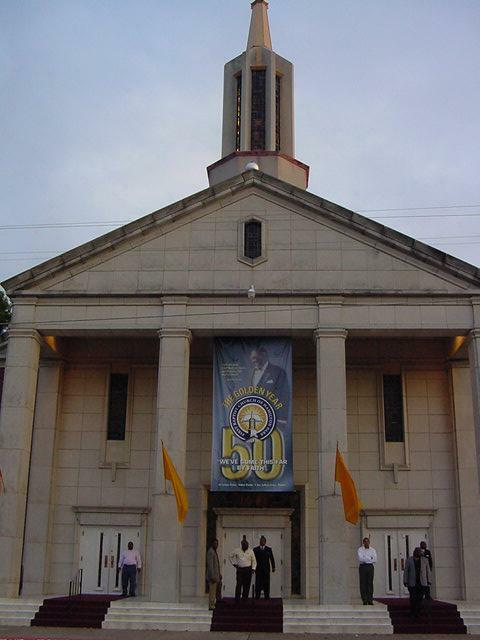 Overdrive Productions would like to thank the Church for letting us be a part of their 50th Anniversary Celebration. Dallas / Fort Worth D Magazine chose The Male Chorus at First Baptist Church of Hamilton Park as runner up in the Best Gospel Choirs and Groups in Dallas.